Home / Digital Camera Comparison / Nikon D810 vs D800/E comparison, What’s the difference? After two and a half years, the Nikon D800 and D800E is being replaced by D810. The pictures will have more details even though the amount of pixels will remain the same. D810 is also faster and quieter. The grip is improved, and the video function has been developed quite a lot. It appearance, the Nikon D810 is very much alike D800 and D800E. The small ring for the method of measuring the exposure is gone, you now do this by using the button that earlier controlled the bracketing. The bracketing is now controlled by a new bkt button on the side, above the flash button. The grip is deeper and fill fit bigger hands. The slot for the memory card now has rubber to make the grip better. – Small raw. 9 megapixel. Half the size of uncompressed 14-bit raw files. – Quicker response time in general. – Quiet mode. D810 has two quiet modes; Quiet and Quiet Continuous mode. They are both very discrete. – Faster Continuous shooting speed, 5 frames/sec in FX mode, and up to 7 frames/sec with DX mode and battery grip. – Improved live view function with quicker updating. – Larger image buffer (58 pictures, compared to 25 pictures with D800/D800E in the 12-bit compressed mode). – Highlight oriented multi-field exposure measurement. – Info-button on the back (like the D7100). – More pictures per battery charge. – No limits on the amount of pictures with long exposure times. The capacity (fwc, full well capacity) in each pixel has increased, this means D810 simply can receive more light per pixel. The basic ISO of D810 is ISO 64, which can delight a lot of studio, portrait, and landscape photographers. Nikon has also increased the ISO range up one step. The standard range is ISO 64-12.800 and can be increased to ISO 32-51.200. 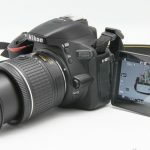 To increase the resolution of the resulting pictures has been a goal for Nikon. That is why D810 does not have any low-pass blurring filter (both D800 and D800E has a low-pass filter, but it is deactivated in D800E). They have also put a lot of work into decreasing the vibrations of the camera. This is done by using a new mirror mechanism and the ability to use an electronic shutter. A better auto focus function helps the pictures in getting a higher resolution. Nikon has changed their auto focus module by using new components. A new processor EXPEED 4, same as in the Nikon D4s, also helps to improve the precision and makes the auto focus quicker. Just like the D4s, the D810 has group area-AF. (which basically works by using one focus point selected by the user, and four other points each above, below, to the right, and to the left of the selected focus point to focus). This means that the camera can switch to a close auto focus. This helps when you are trying to follow a moving subject. Nikon D810 has more of an extensive and detailed control of the image styles. With the D810 you can, for example adjust the clarity (like the clarity/vibrancy in the Adobe programs) to increase/decrease local contrast. All the settings have more steps than earlier, so you can refine your images even more. You can also choose between different tone curves. There is an extra flat tone curve if you want to keep most of the tones in the picture after you have edited. If you want full control of the image styles, you can edit them in the computer program, Picture Control Utility 2. Nikon has worked a lot on the video function of D810. One of the objectives has been to get rid of all disturbing image errors, like moire, jaggies, and more. You can eject an uncompressed 8-bit video signal with 4:2:2 colors to an external recorder by using HDMI, and at the same time save the video to the memory card. (H.264/Mpeg-4 AVC). To allow more control over the exposure when filming, you can mark bright areas of the images with zebra stripes. You can also zoom in to make sure that the focus is right. You can film with 60p in full HD with an ISO of 64 at the lowest. D800/D800E can do 25p and ISO 200 at their best. Unlike the D800, D810 can regulate both time and apertures while filming – and with the combination with auto-ISO if you want to. D810 uses the same battery and battery grip as the D800 and D800E. D810 will be able to shoot more photos per charge. The proposed price is as 3296 Dollars. First date of sale is July 17 2014. The Nikon D810 will feel better in your hand than D800/D800E and feels easier to handle. The Live view, which was criticized a lot in D800/D800E, looks like it is way better. The quiet shutter mode actually feels discrete. To be able to do more detail work with the images is another nice bonus. Nikon D810 is rounder than D800. If you are a photographer of nature, the faster continuous shooting will be perfect for taking pictures of animals, and the improved detail rendering will be a good thing when you are taking landscapes and close-up photos. A Faster continuous shooting, quiet mode, larger image buffer, and small raw should make the D810 more diverse, and for example work better for reporters and paparazzi photographers. But we wonder why Nikon did not make sure to come up with a better WIFI solution. To send pictures through wifi is a part of many photographers’ day, especially the press and sports photographers, but the D810 has the same clumsy WIFI solution like the D800. You will now be forced to use the now seven year old WT-4 transmitter or the newer WT-5 transmitter by using a clumsy adapter (WT-5A or Eye-Fi). We are also wondering why the D810 does not have a built in WIFI function like the D5300 and other Nikon 1 models have. Admittedly, this may be something that is not suitable for professional use, but even D810 users will be using Instagram and Facebook. 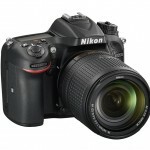 There are many improvements of the video function, and it feels like Nikon has given the moviemakers what they wanted. Nikon D800 is a successful camera that even after two years still doesn’t feel old. D810 is a better version of the D800 and will most likely not feel old in many years.